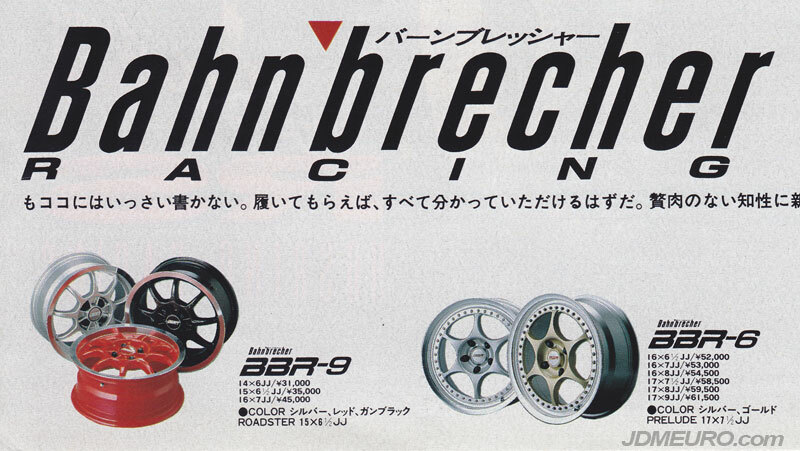 The BBR Competition are JDM Wheels which feature a 2 piece welded construction. The BBR Competition are uniquely noted by their finned turbo / turbine look. 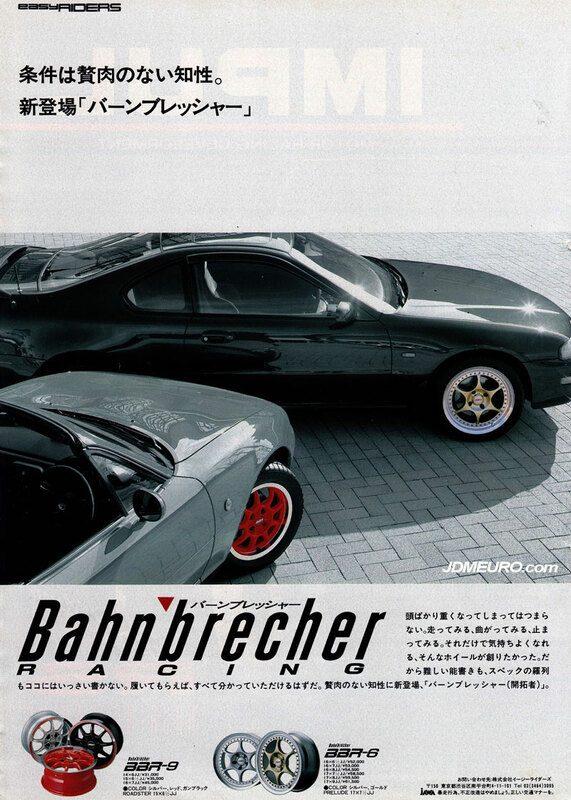 The BBR Competition are made for Bahnbrecher Racing / easyriders by Enkei Wheels in Japan. 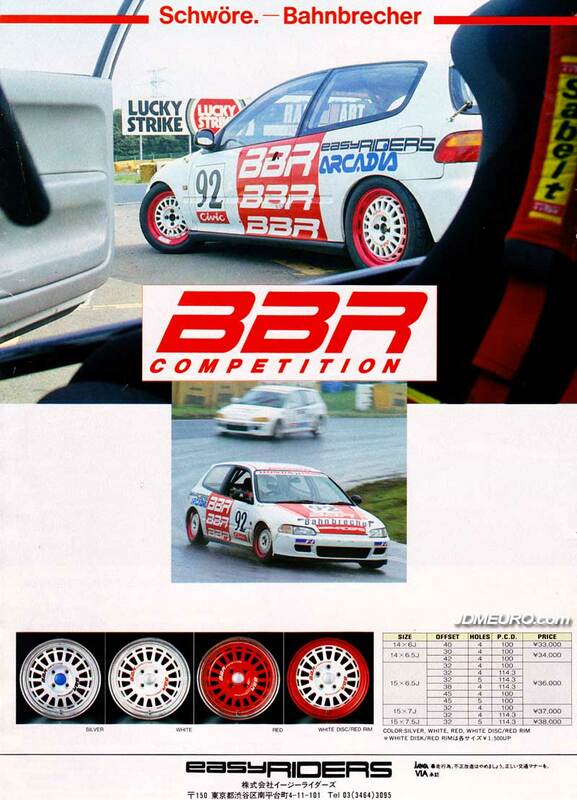 Pictured are the BBR Competition on the BBR Easy Riders EG Honda Civic Race Car. In case you were wondering, Google Translate, translated the German word “Bahnbrecher” to English for “Pioneer”.